Product catalogue for the Mint of Norway. This Norwegian language catalogue promotes the range of coins and coin products from The Mint of Norway and other Scandinavian mints. 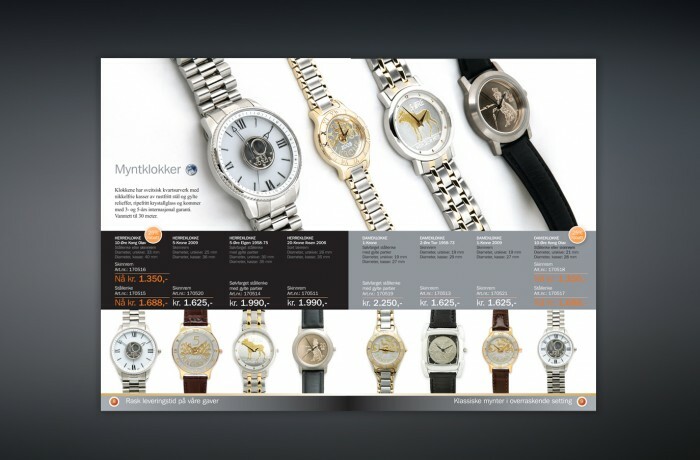 The spread featured here promotes Coinwatches.